Each May, clinical trial advocates from around the world join together to raise awareness and honor research professionals on Clinical Trials Day! The contributions made by the clinical research community to enhance public health and advance medical progress are truly remarkable; unfortunately, many people are in the dark on what goes into creating a clinical trial and the benefits these studies can produce. In celebration of Clinical Trials Day, we’re taking the opportunity to highlight the rich history of clinical research, what the current state of the clinical trial community looks like and ways that everyone can get involved. First and foremost, it’s important to define what exactly a clinical trial is in order to understand the positive impact they can have. According to the National Heart, Lung and Blood Institute, clinical trials are research studies that explore whether a medical strategy, treatment, or device is safe and effective for humans. These studies also may show which medical approaches work best for certain illnesses or groups of people. The very first trial was conducted by James Lind all the way back in 1747! As the story goes, he recruited 12 of his men on the HMS Salisbury of Britain’s Royal Navy Fleet for a study. His mission was to cure his crew of a condition ravaging sailors at the time – scurvy. By systematically providing six different treatments to his volunteers, he not only discovered that citrus fruits had the quickest positive effects on the disease, he also may have inspired the future of all clinical trial designs. Phase I: This is the first stage of testing in human subjects, usually containing 2 to 100 healthy participants. The safety, side effects, best dose, and formulation method for drugs are reviewed at this point in the process. Phase II: Next, to evaluate whether the drug has any biological activity or effect, these trials are performed on larger groups. 100 to 300 participants can typically take part in Phase II trials. Phase III: Expanding to between 300 and 3,000 participants, Phase III trials focus in on how effective the drug is compared to other accepted treatments. Expensive, time-consuming and difficult to design, these trials can also go about measuring consumer response to the drug. Phase IV: After a drug receives permission to be sold, this phase applies on-going safety surveillance in order to detect any long-term adverse effects over a much larger patient population and longer time period. Often, these groups must be observed for a minimum of two years. In 2017, there were more than 250,000 clinical trials in the United States alone. As the number of trials being taken on continues to grow, demand for clinical research roles has increased by 53% in recent years. Unfortunately, the available supply of clinical research professionals ready to take on these opportunities falls far short of the current need. In order to develop the healthcare solutions of the future, clinical trial teams need help! Whether you’re looking to advance a career in clinical research or just looking to participate as a volunteer, there are a number of ways you can help clinical trials progress. First, if you’re interested in working on a clinical trial team, there are a variety of roles that are currently in high-demand, including: clinical research coordinators, clinical research nurses, clinical research associates and project managers. Often, skills you may have acquired in other settings can be applied to these trial-specific roles when coupled with continued education. Next, you can also get involved with clinical trials as a healthy volunteer. There’s an unfortunate misconception that everyone who participates in a clinical trial needs to be affected by a terminal illness; however, researchers need healthy volunteers, too! According to the National Institutes of Health (NIH), “Healthy volunteers are given the same test, procedure, or drug that the patient group receives. Investigators learn about the disease process by comparing the patient group to the clinical research volunteers.” Clearly, volunteers who might not need to receive the direct benefits from the techniques being researched can still have a huge impact on clinical trials! While Clinical Trials Day is the perfect time to celebrate the accomplishments being made by clinical research teams worldwide, the important work they do is making a difference in the lives of patients and communities 365 days a year. How can we find ways to get involved and contribute to their healthcare breakthroughs? Have you or someone you know been directly affected by clinical trials? We’d love to hear your story! Share your experiences with clinical trials in our comment section below. Heather is a Senior Account Executive specializing in Clinical Research. 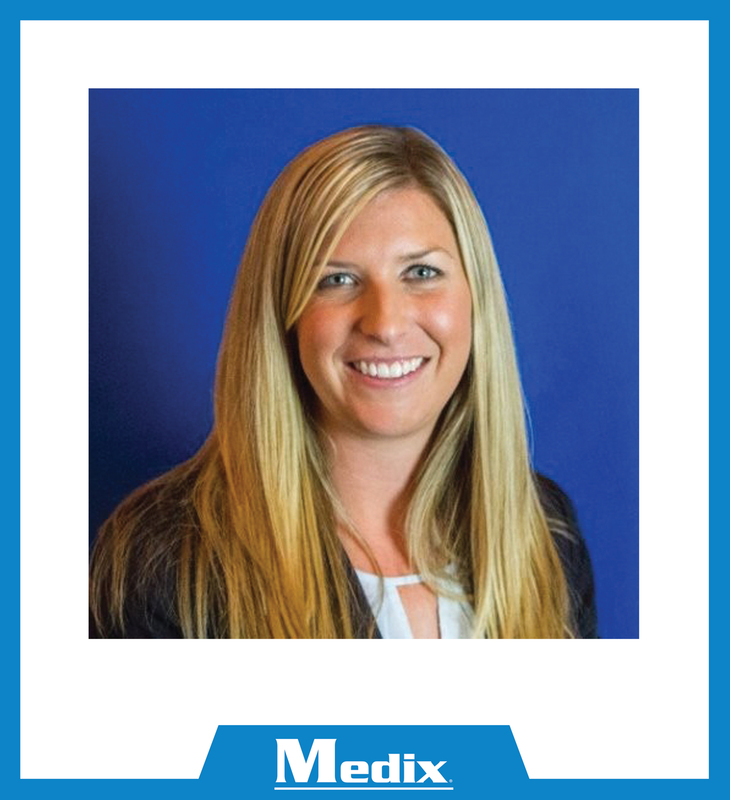 She works with the Medix team in our Orange County, California location. This entry was posted in Clients, Currently Employed, Job Seekers and tagged acrp, Clinical Research, clinical research jobs, clinical trials, clinical trials day. Bookmark the permalink.